A ws about anagrams. 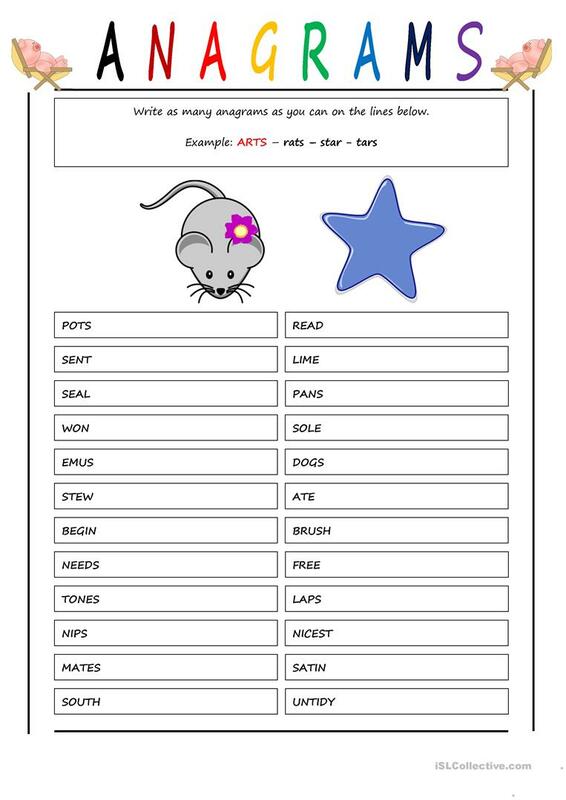 Students must rearragne letters in the given words and form new words. Good ws for working with vocabulary. This downloadable teaching material is intended for high school students, elementary school students and adults at Elementary (A1), Intermediate (B1) and Upper-intermediate (B2) level. It is excellent for enhancing your learners' Writing skills.